Why is megalomania a part of schizophrenia, the latter having to do with personality splits, as opposed to being a disorder of its own. According to Polya's book, thinking big is one of the thinking techniques that makes you good at mathematics, so, by this argument, every mathematician would be a megalomaniac. But schizophrenia has nothing to do with it, because it can be looked at as a separate, possibly related problem. Find more inspiration in Polya's book. Schizophrenia symptoms vary widely from patient to patient. Only a subgroup of schizophrenics experience grandiose delusion. 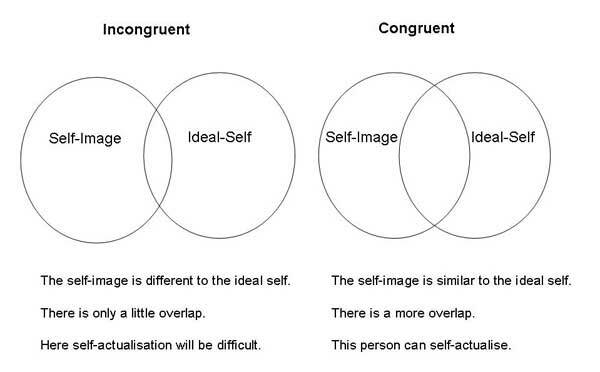 According to one school of thought, humanistic psychotherapy, individuals have different degrees of congruence between the self and the ideal self, with consequences for self-realization. If one thinks to much of one self, one risks not to develop as a person as one is satisfied. However, in Logos therapy, the view is that one should think better of oneself in order that one dares to approach situations that one would have not dared to approach otherwise, according to Viktor Frankl, thereby opening up to new experiences. A different advice applies to people with perhaps the most realistic worldview: patients with depression are perhaps aligned with their self-image, but their low sense of self-worth reduces their ability to take action. When the images do not match the objective "self" either depression or megalomania could result. Some mathematicians also have schizophrenia - a famous example being John Forbes Nash Jr. whose life was portrayed in A Beautiful Mind. That is why I do not see how your observation is necessarily controversial. Being able to think outside the box requires some distance to reality. Some studies have suggested a link between creativity and schizophrenia. Nevertheless, it is important to note that creativity without constraints has no real application in life, other than perhaps art. Some of the most creative artists choose a specific formula, so that they can restrict their thoughts. For example, Bach chose to write fugues. He could have written only fantasias instead, but for a creative person this is not as challenging as the logic of a fugue. Mathematicians are very structured and write proofs. Not the answer you're looking for? Browse other questions tagged cognitive-psychology schizophrenia cognition or ask your own question. Is sluggishly progressing schizophrenia recognized outside of Russia? Is there a relationship between schizophrenia and genius? Does schizophrenia cause a loss of intelligence? What is Joan suffering from in this example? Are schizophrenia and OCD genetically related? What do we know about schizophrenia and mathematics? Can individuals with schizophrenia be talked out of their delusions? What is the diagnosis when someone suffers only from negative symptoms of schizophrenia?